Show Us your Life - What Is Your Reading List! I LOVE to read and more then reading I love SERIES. behind this one that will continue on the story. The latest series that I have read are . . Both the Series above remind me of Gossip Girl and One Tree Hill! If you loved the Twilight or Sookie Stackhouse Series you will LOVE House Of Night! is now a TV Series ( which I have yet to watch but will soon ). 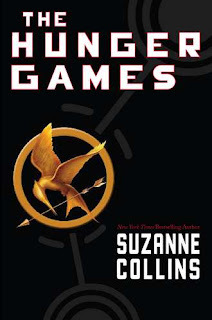 Right now I am currently about to start the 3rd book to The Hunger Games Series. The first 2 books have been AMAZING.. can't put the book down read them in one day AMAZING. What makes me even more excited is that they are making a Movie out of this series..
After this series I am not sure what I will read. I tried to get into the Girl With The Dragon Tattoo and I could not get into that book. So I guess I am looking for suggestions based on the books I have listed above. Some people have told me about Sarah Dessen and all her books so I might look there next. Also I can not forget to add that I am so freaking excited to read Two Kisses For Maddy! I am even more excited to actually meet Matt Logelin and get the book signed in May! I started reading the hunger games a while back on the sneak peak on Amazon- I just have not bought the book- but I know I will LOVE IT! The girl with the dragon tattoo is VERY slow at first, but if you stick with it is is AWESOME! 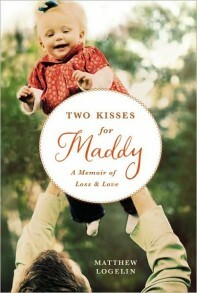 I just saw the Two Kisses for Maddy book in Target today. I had no idea he wrote a book--and now I see it on your blog. I'm outta the loop! Your girls are adorable. I love having my 5 girls. Some people just can't believe I am fine not having any boys :-) Ah, to each their own! I so want to pick up Two Kisses for Maddie!!!! I love him! I love your blog! I am following you!